This is my favorite watch face! Very well designed, highly functional including a shake of the watch to see more detail. Excellent support and response from developer. Good luck Nate! 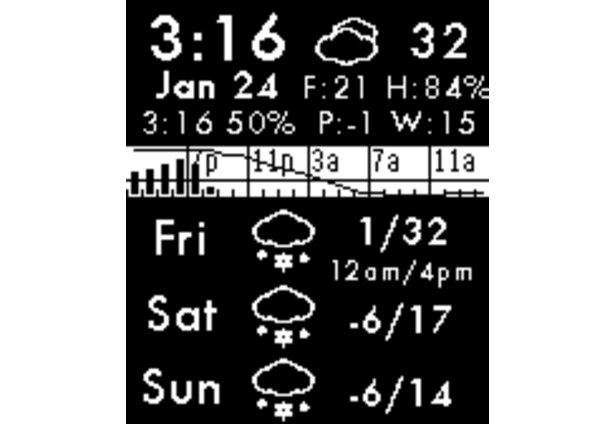 This is by far the best Pebble weather app out there, I'm a weather geek and try as many as I can find for iOS and my Pebble. 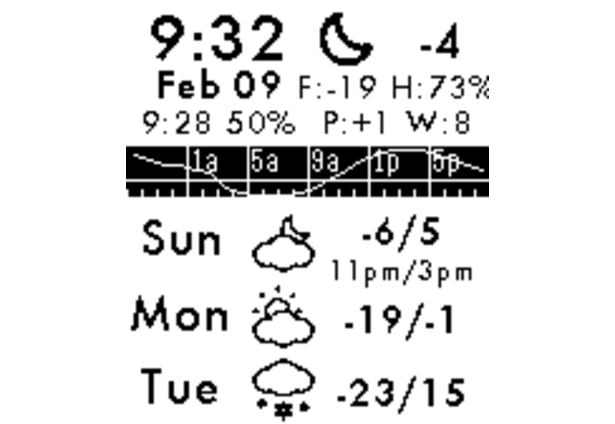 Love having Forecast Weather on my wrist, you've definitely done some interesting and innovative stuff! 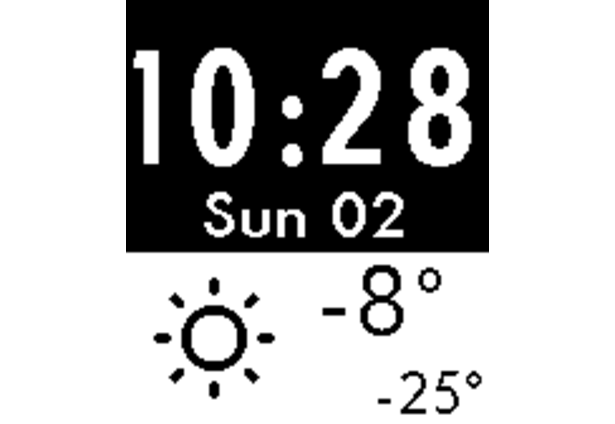 This is the best watch face going. Anyone who wants to dig a little deeper than just the temp and humidity can find a lot here with just a shake of the wrist. 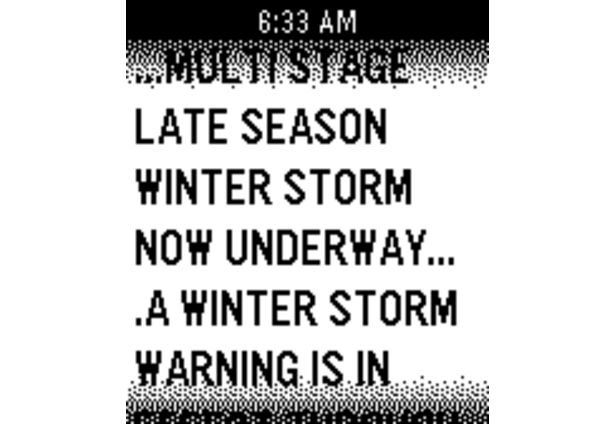 The precipitation graphs are wonderful along with a bunch of other weather stats. Nate Bean, the developer is always looking for ways to improve the app and is very much in tune with his customer's needs. It doesn't get any better than this. Comments for this submission are closed. View the software in natebean's portfolio to continue the conversation.